Your membership supports MBPN’s work of promoting the appreciation, preservation and rehabilitation of Michigan barns, farmsteads and rural communities. Members receive a number of benefits, including discounts, priority registration for events and a quarterly newsletter. 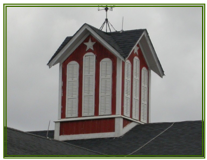 Cupola/Lifetime members enjoy the added benefit of helping to establish a perpetual endowment fund to be used for education, operations, and barn stabilization. For questions about joining or renewing at this level, contact us. Read about the Michigan Barn Preservation Network Endowment. Donations may be made in any amount directed to the newly established fund. To register for membership by mail download and print the membership form. Memberships support only a portion of our important work. Your additional gift will be wisely used. Thank you! Click here to see announcement about the newly established MBPN Endowment Fund. Please consider contributing. Contact us for details.